My name's Alexandra ... and I'm a 46-year-old German secretary living in the federal state of North Rhine-Westphalia. 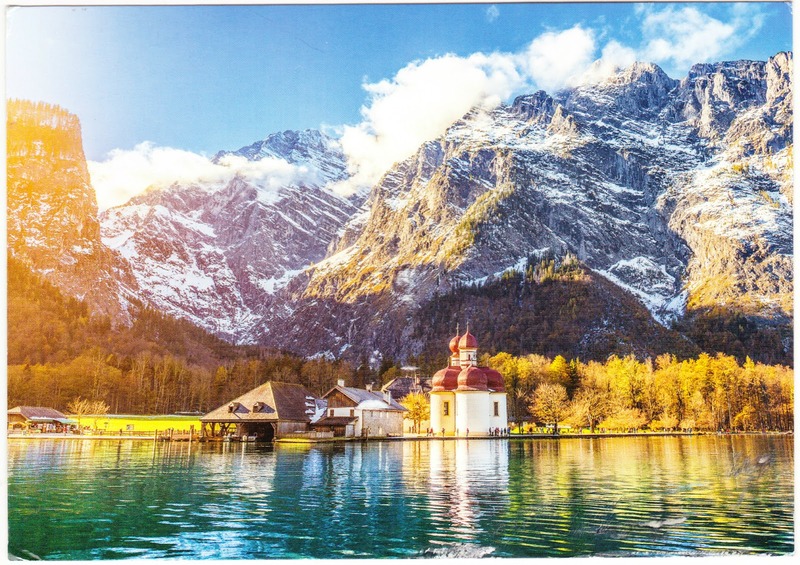 This postcard shows St. Bartholomew's Church in Berchtesgaden, Bavaria, at the western shore of the Königssee lake, on Hirschau peninsula. Best wishes from Germany. My name is Irina. FIFA World Cup took place in my city — Sochi. And visited 2 games in our stadium "Fisht". It was exciting! Good luck! 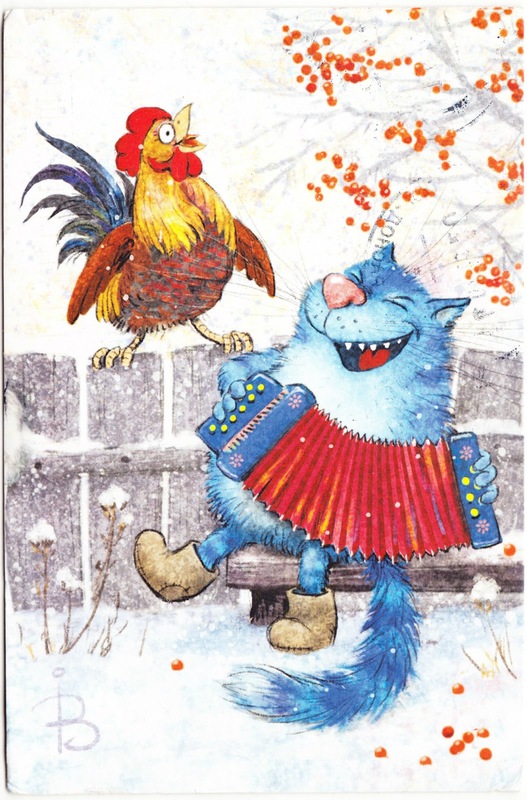 The back of Irina's card also includes a drawing of an American flag, a purple dinosaur stamp, a sticker of a smiley face with sunglasses, and a 2012 Russian postage stamp that commemorates the 1965 animated film Vovka in a Far Far Away Kingdom, which was directed by Boris Stepantsev.